Blog It's Just a Number...Right? 151…could be a flight number, the combination to a safe, or a parking garage spot. But that was the number that showed-up on the scale recently. And let me tell you, I almost teared-up. Most women wouldn’t talk about how much they weighed, right up there with how old they are. But WHY does a number make you feel anything but negative? When did we attach horrible feelings of disdain towards ourselves with how much older we’re getting or the few extra pounds we gain? 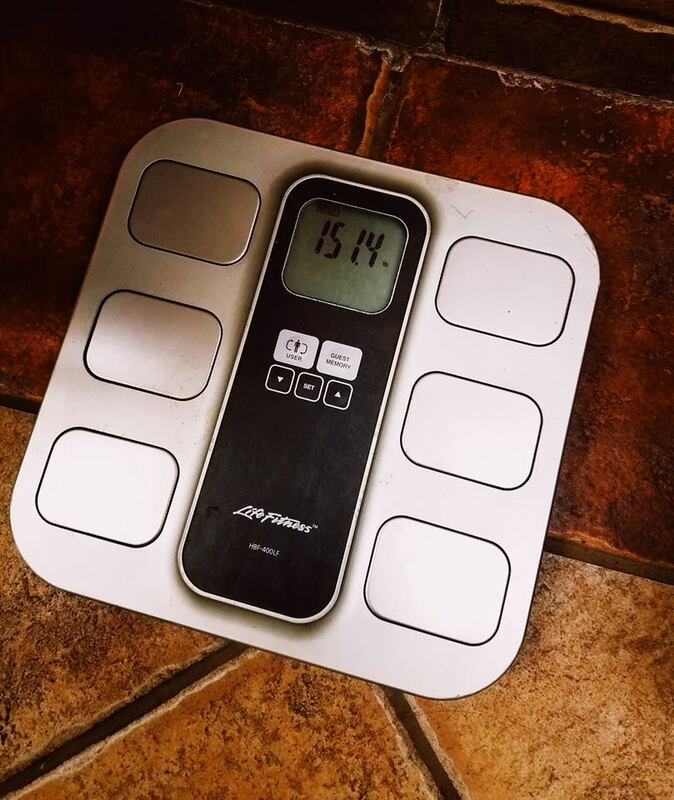 I want to freely talk about how old I am (32) and what the number on the scale reads (151 lbs) because hopefully me claiming those 2 things will help you to do the same. Valid question reader! They weren’t sad tears, but happy ones. And it wasn’t really because I lost weight, but because I was thinking of my health journey this last 4.5 months. In April, I didn’t feel myself at all. In fact, I actually thought I could be pregnant (seeing I had a TON of the symptoms), but the tests all came back negative. So that’s when I had to go to a doctor. After tests that led to an MRI to some more tests, they found Charlie…a smaller-than-a-jellybean tumor on my pituitary gland in the brain that’s non-cancerous, non-surgical, but was messing with my whole body. I was up to 174 lbs and I FELT it all, but thankfully I now knew why (Thanks Charlie)! Right before I made an appointment with a new doctor, The Hubby suggested starting Keto because he felt he needed to lose some pounds (even though I love him for him). So I agreed…and my new doctor did too! In fact, she was ALL about Keto and encouraged me to go down that path to see if it could help to even things out until I could get to my endocrinologist. 2 months later I saw my Endo, and after blood work was done, she was a little shocked. The levels that were high that started the whole “let’s get you an MRI and find Charlie” were NORMAL!!! That’s right, absolutely normal, and all she could say was, “Let’s get some more blood work from you in 2 months.” Trust me, I’m still as shocked as she is, but I honestly shouldn’t be. My God is a God who gives guidance, gives wisdom, and gives healing. And my God did that and so much more!